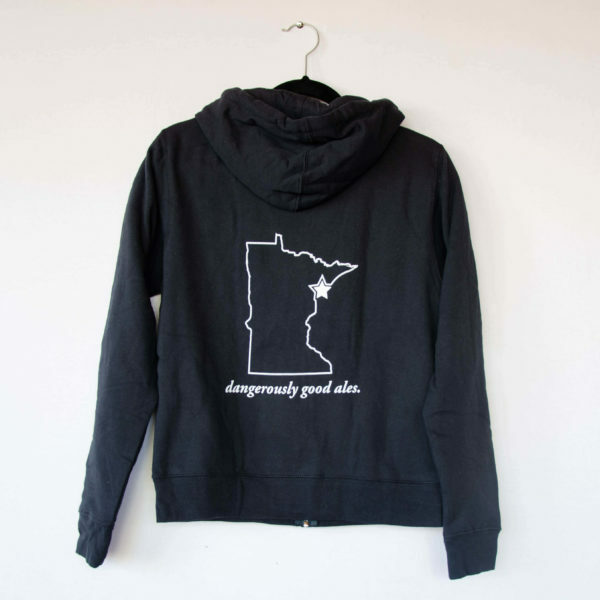 This Navy Zip-Up hooded sweatshirt features our classic CDB logo in white on the front and our tagline ‘dangerously good ales’ with the outline of the great state of Minnesota on the back. 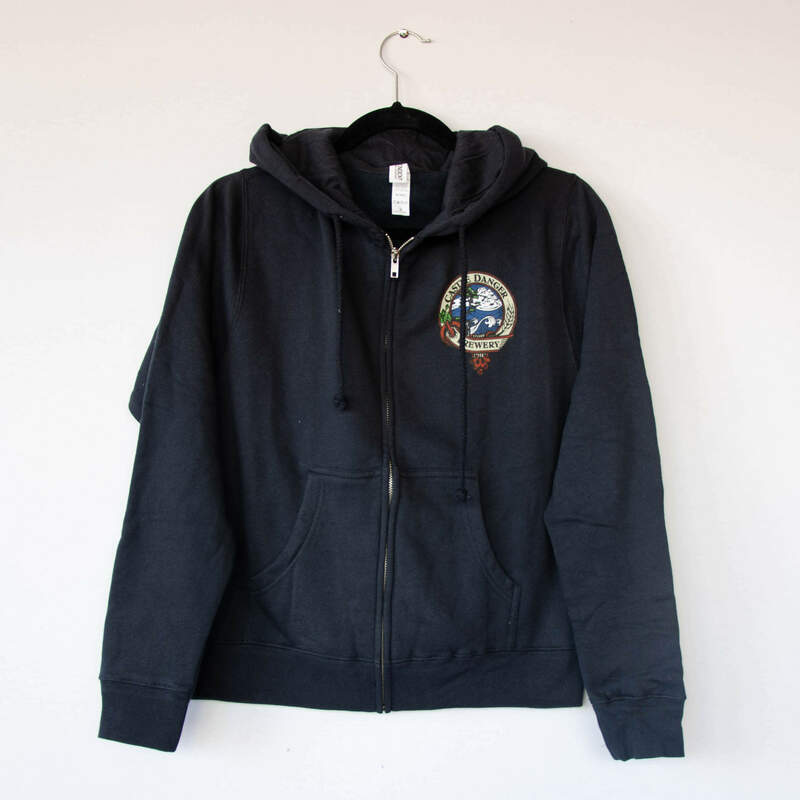 We are introducing a new, tailored women’s fit to accompany our Unisex Grey Zip-Up, which has a more relaxed fit. 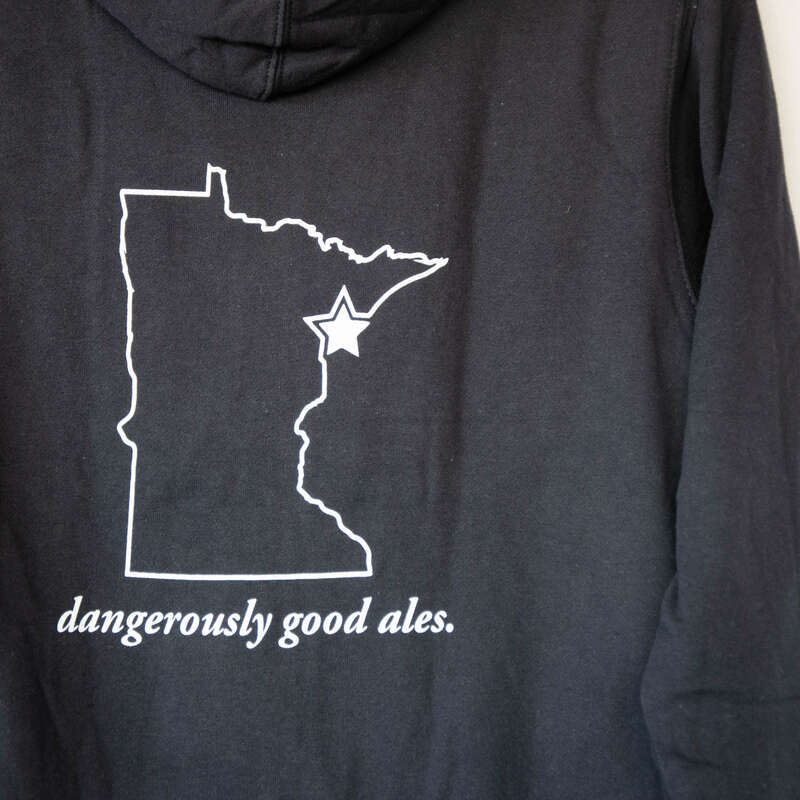 Soft, comfortable, cozy, and perfect for an added layer for a Minnesota winter.